The Wisdom Keepers Oracle Deck is an empowering tool of self-acceptance and understanding, a playful way to embrace our shadows with love and uncover the gifts that only we can bring to the world. 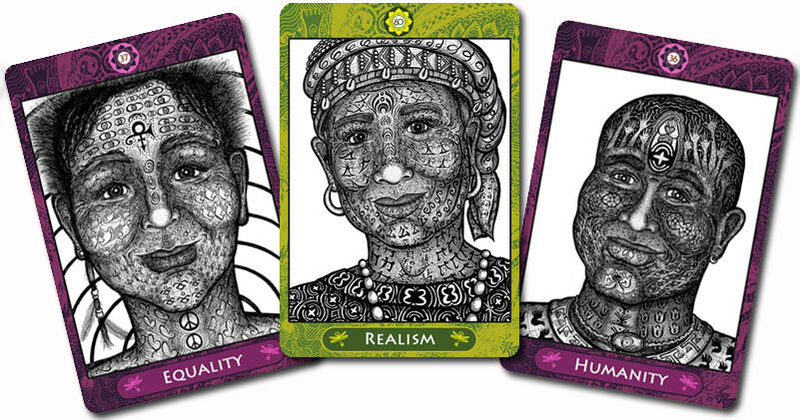 ​These faces are embodied keepers of love and wisdom; they and their stories offer direct, heartfelt ways to work with the emotions, fears and challenges we all face. The Wisdom Keepers believe in us. They see our beauty, power and potential.